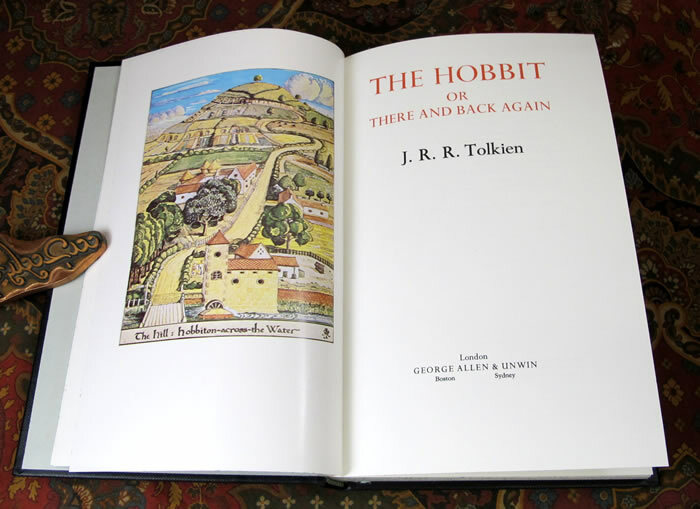 This copy is the 4th impression, published in 1986, of the 1st De Luxe Edition of 1976, with the Tolkien line drawings colorized by H. E. Riddett. 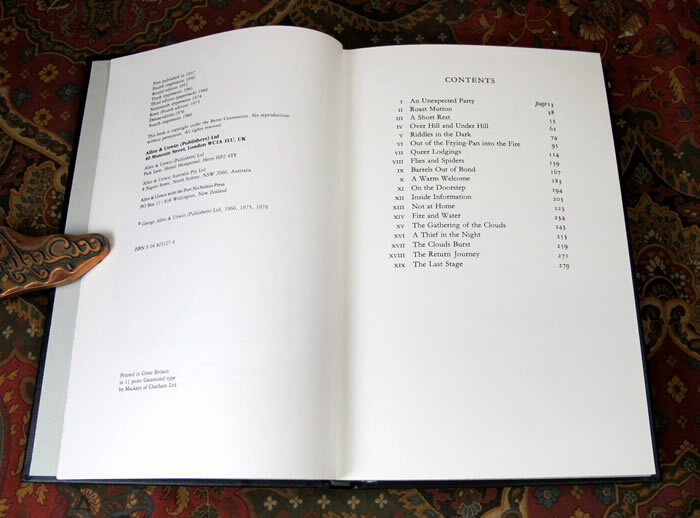 This book is also housed in it's original Publishers Tray Case with a clean and bright label. Gilt ruled compartments with Title, Author, and publisher on the spine. 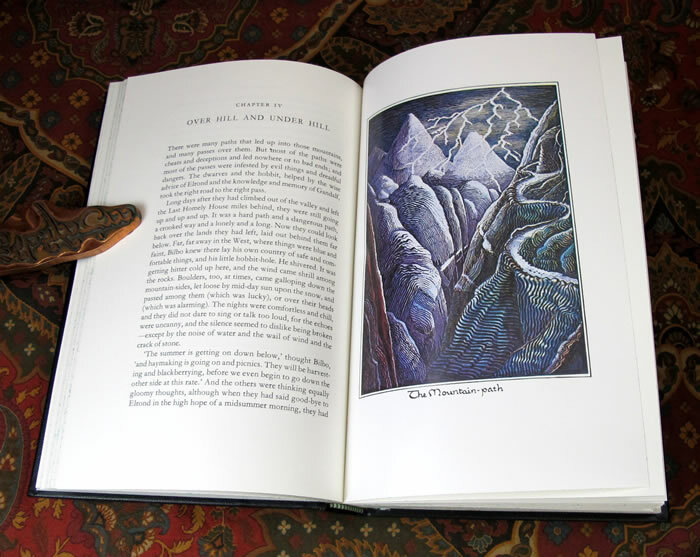 The book is clean and bright, no bumped corners, no scuffs or abrasions to the surface. No names, writing or faults noted in the book. 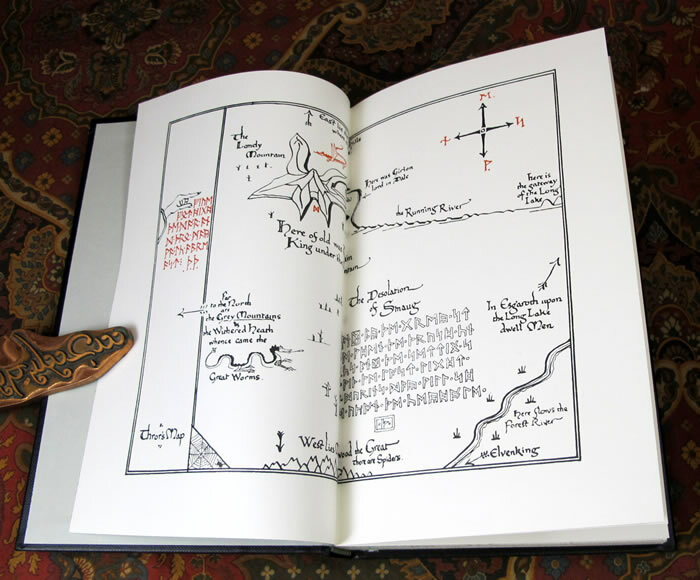 Maps are bound in, rather than used as the endpapers. The publishers box shows only light wear to the edges and corners, with the label clean and not soiled. 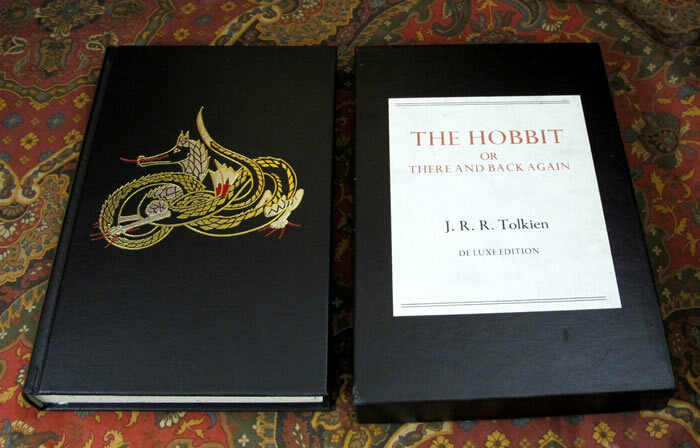 The box has protected the book very well over the years. 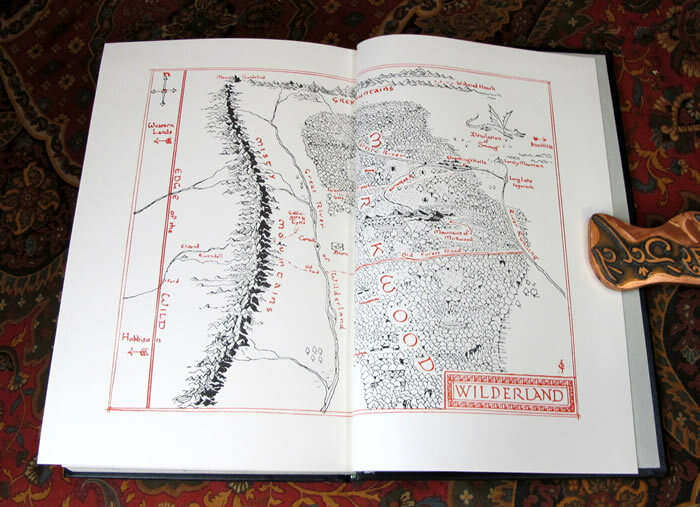 Overall a Near Fine copy of this wonderful book, housed in it's Near Fine box.